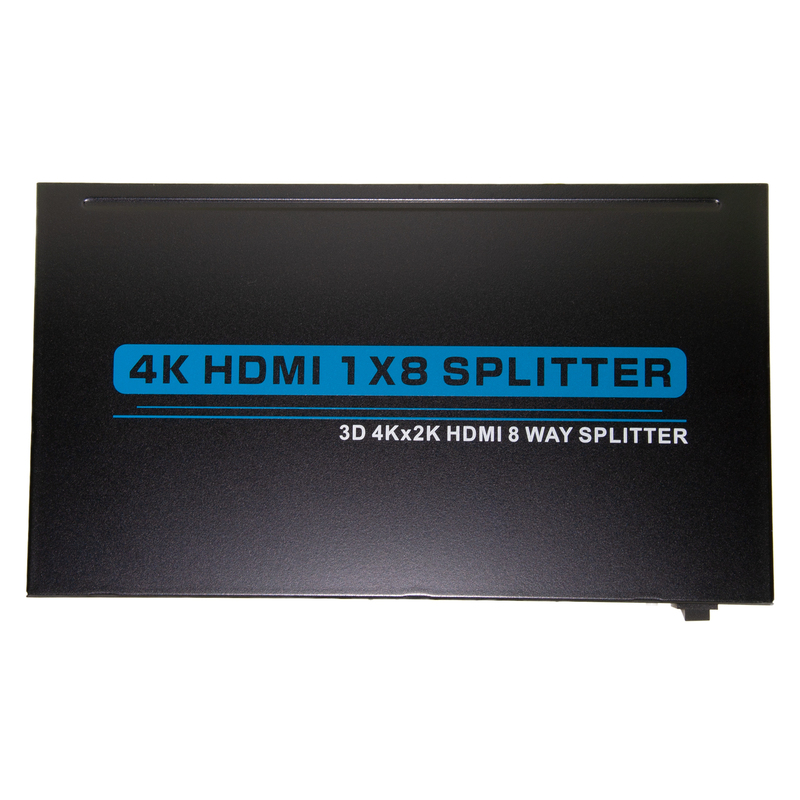 Maintain a premium-quality 4K, crystal-clear video resolution when splitting a single signal simultaneously into up to eight different monitors or receivers with our convenient and useful plug-and-play HDMI source splitter. This HDMI splitter easily and conveniently converts a signal from an HDMI female port to 8 HDMI female ports. 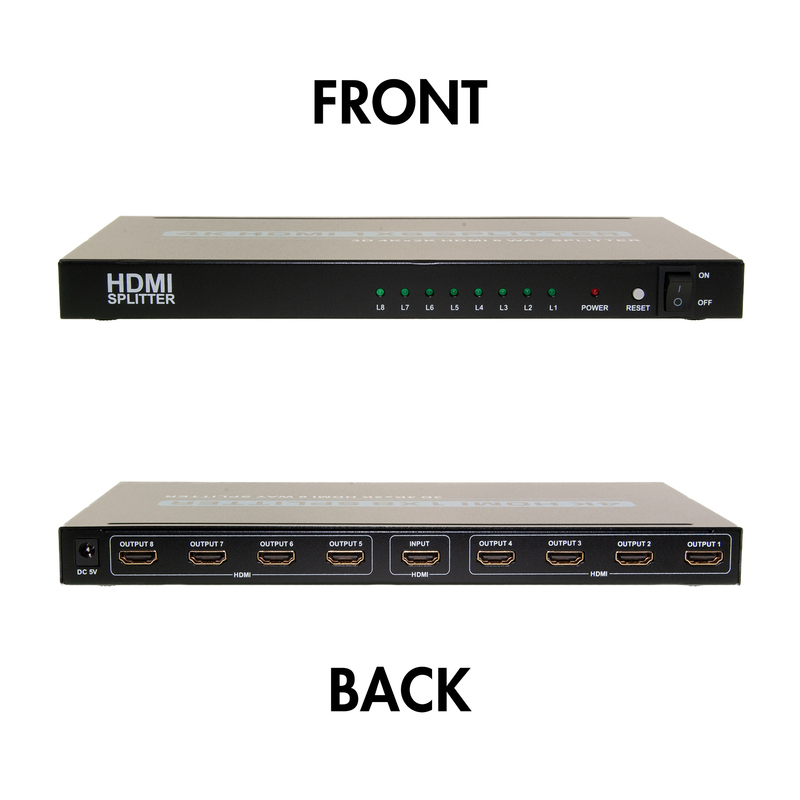 It effectively and seamlessly duplicates the signal from your cable box, satellite box, laptop, DVD player or console and will distribute the HDMI signal into up to 8 different televisions, screens or monitors. This HDMI splitter is ideal to be used to enhance and distribute presentations, for educational purposes, to aid with training and more! 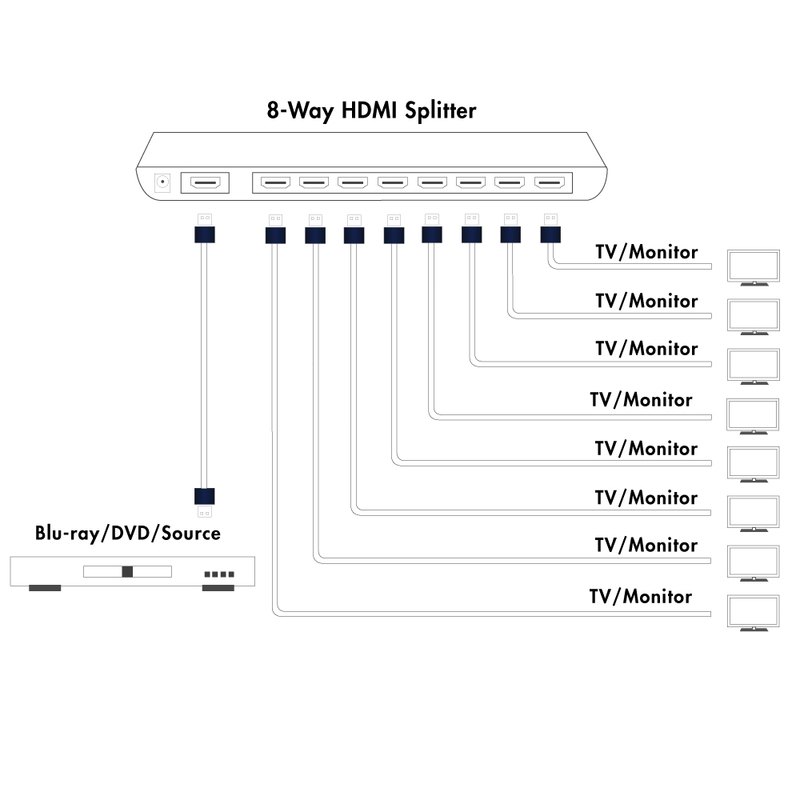 Split a single signal using different devices without having to replicate the source with our quality splitter. This product performs as planned. 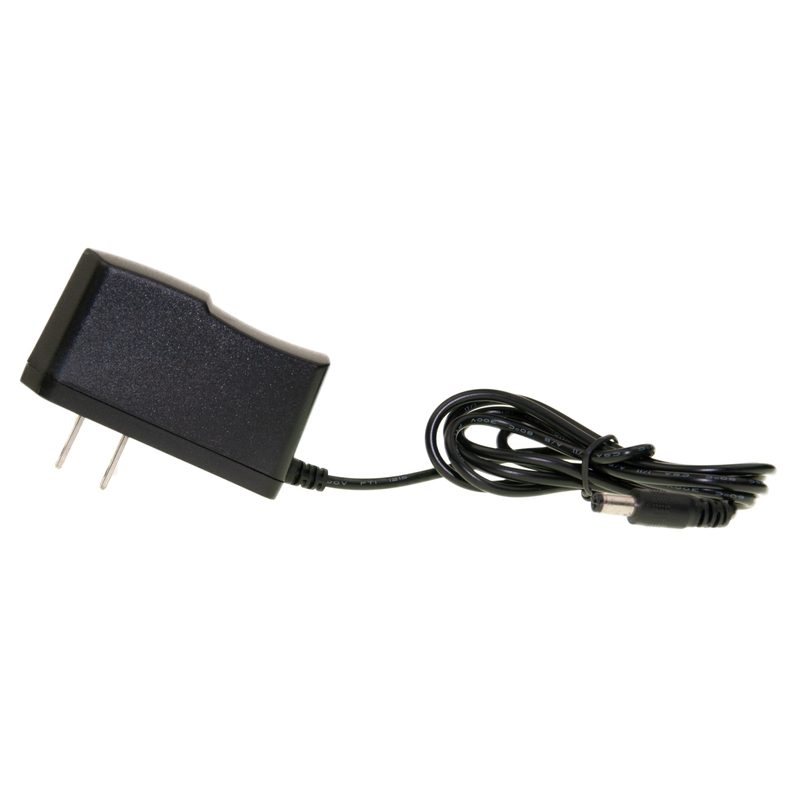 I had a similar unit that I bought years ago that failed for some reason when my power went out(or came back on). I shopped similar units at Fry's and Amazon and the price difference with the CableWholesale unit was from 1/2 to 1/4 the price of the other units. One minor problem is when I turn on/off one of four TV connected to this splitter, the other TV's momentarily blink off. That's the only reason this product receives a 4 instead of a 5. I may call CableWholesale about this issue. But overall I'm happy to have this splitter.